Day 3 of our Hokkaido Photographer Invitation Program began with us checking out from our hotel in Akankousou. We had an awesome and really fun Day 2! Our breakfast at Akankousou was very interesting and it’s also my first time having such a huge Japanese breakfast! Before leaving the Akan region, we stopped by at Lake Akan and enjoyed the beauty of Lake Akan. 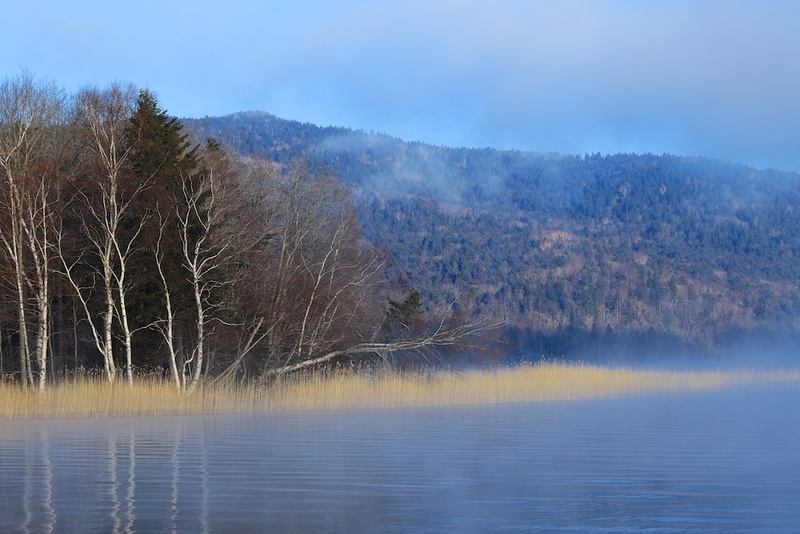 It was tranquil, quiet and gorgeous, while walking around the edge of the lake, the morning sunshine slowly enters and gives warmth to the Lake Akan and surroundings. It was interesting to hear how Lake Akan can transform into a winter playground during winter even when the lake is frozen! Hokkaido indeed is a place for all four seasons, there’s something to see and do every season! Along the edge of Lake Akan, I discovered beautiful ice sculptures on the plants and leaves of Lake Akan. This is the power and beauty of Mother Nature in Hokkaido, the autumn and winter season coming together. Leaving the Akan region and driving to the Ashoro region, we arrived at a very beautiful lake, known as Lake Onneto. 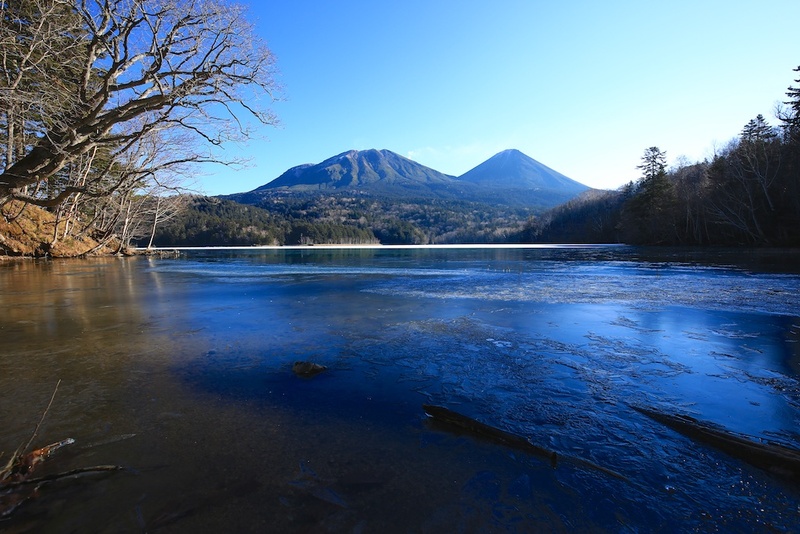 “Onneto” means Old Lake in Ainu language and while she is an Old Lake, she is still very beautiful and charming, attracting everybody there to be mesmerized by her aura. With the grand mountain range behind her and the Hokkaido sun shining upon her clear turquoise waters on the lake, while half her of water on the lake was frozen, we can still see the other half of the lake. We spent some there, admiring her stunning beauty, photographing and collecting memories of Lake Onneto. I am sure Lake Oneeto will attract landscape and travel photographers. While on the way to our lunch at Tonta, Mr. Kato-san stopped by a country road off the main road and it was lined up by a row of tall trees on each side of the road. This wasn’t an official destination on our travel schedule; it was the vast experience and local knowledge by Mr. Kato-san that he showed us this location. 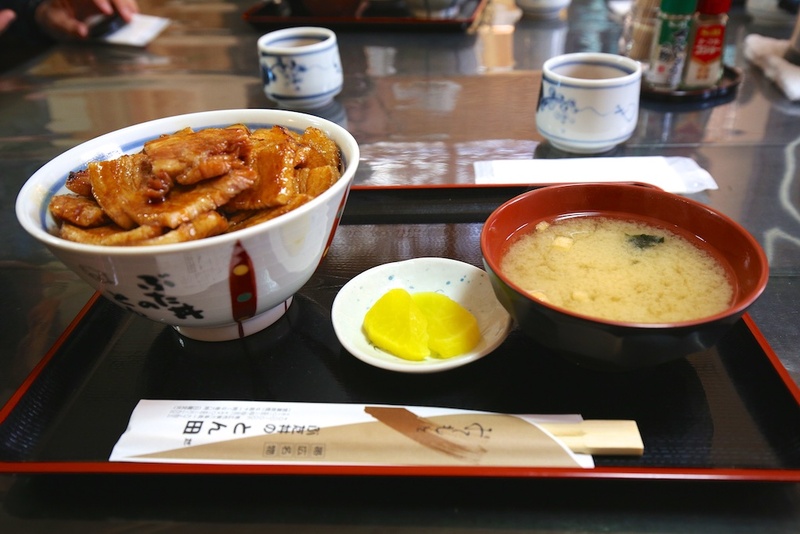 We were informed that our lunch on Day3 would be very special because Tonta is a very famous Butadon Restaurant and you have to queue for quite a long time before getting a seat in the restaurant! Mr. Higasa-san managed to make special arrangements just for our group! We didn’t have to wait too long to have our lunch at Tonta! During our lunch at Tonta, we had a visitor from Obihiro City Tourism Board, Mr. Furui Kentaro who dropped by and we formally exchanged name cards and greetings! Thereafter, we were served one of the best Japanese cuisines that I ever tasted! Our lunch at Tonta was like going into Food Heaven!! It was so awesome and delicious, beyond my words of adjectives and descriptions!! Simply superb and our priceless expressions and emotions upon eating at Tonta were the best testimonial we can give to our Butadon lunch at Tonta! After our lunch, we dropped our luggage at Kangetsuen, the hotel that we were staying for night and drove up to Tokachigaoka Observatory for a bird’s eye view of the Tokachi area. 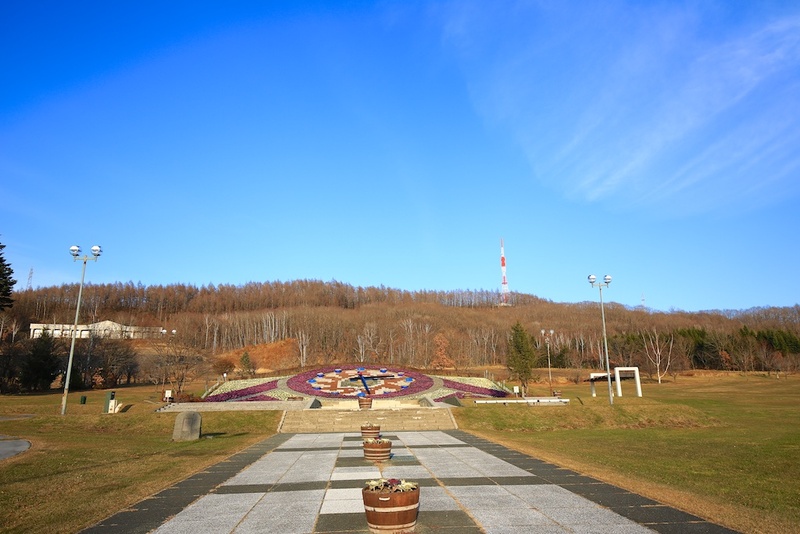 At Kangetsuen, we met with Japanese Photographer, Mr. Takamitsu Akiguchi, who showed us around the Tokachi area. 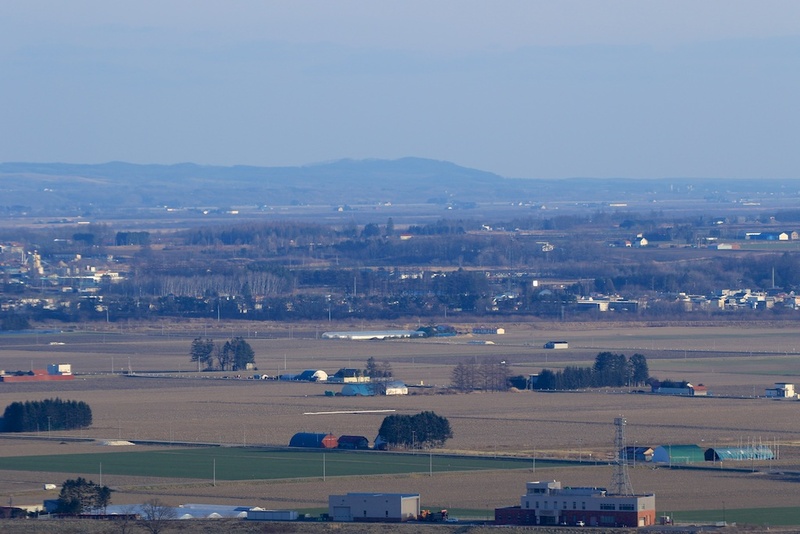 We were able to view the ocean from the observatory deck and it was a good location to capture landscape scenes of Tokachi area and the ocean! How clear the landscape view can be would be dependent on the weather conditions, when we were up there at the Tokachigaoka Observatory Deck, it was a bit misty! We then drove down to the Tokachigaoka Park for a short walk around, looking at the area that we would be coming on Day 4 early morning for our hot air balloon ride! For the Tokachi region, this was one of the highlights that I am looking forward to for this Hokkaido Photographer Invitation Program. This was where we would be visiting the Tokachi River and discovers the different species of birds that can be found staying along Tokachi River. 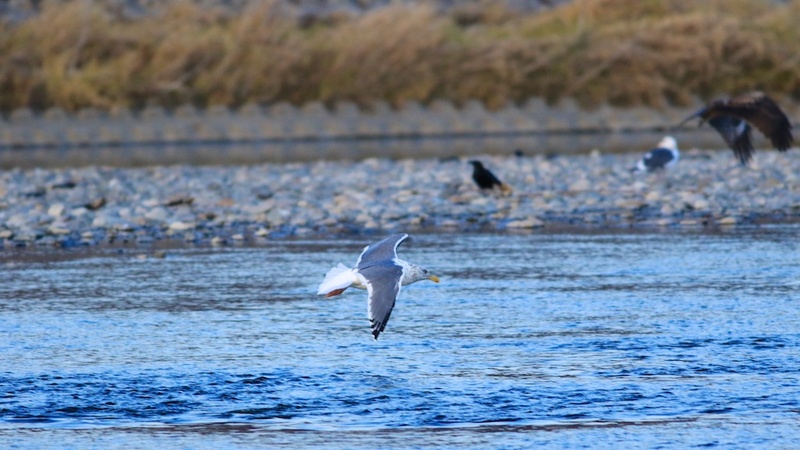 We walked down along the Tokachi River bed, spotted quite a number of different bird species. The EF 400mm f5.6 lens came out into action again on my Canon EOS 7D Mark II. It was a great test/shootout for the high speed AF action of the Canon EOS 7D Mark II! The Canon EOS 7D Mark II is a really good fast action DSLR and when paired with a Canon L lens, it would help in your bird photography adventure! 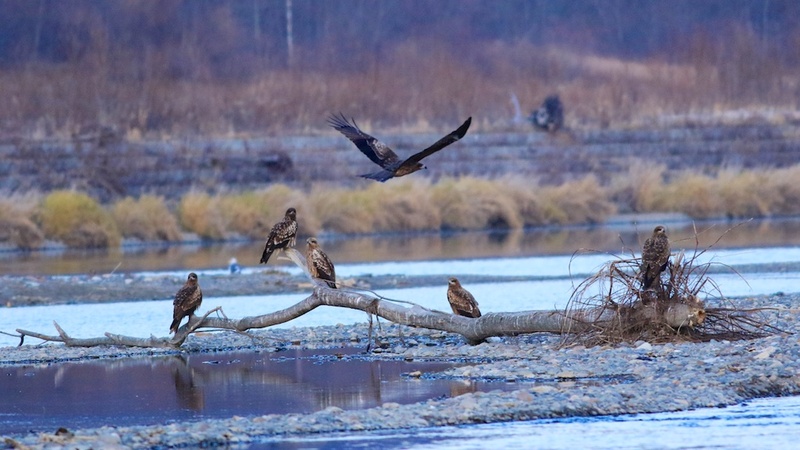 Walking along the Tokachi River bed, we spotted the White Tailed Eagle, swans, seagulls and salmon that swam up to the gravel shore bed to spawn and after spawning, they salmon die. This was just like a wildlife/nature lesson happening right in front of our eyes while we were walking along the Tokachi River bed. The White Tailed Eagle was very challenging to photograph, when we started walking close to them, they sensed our intentions and flew off to another location further away. 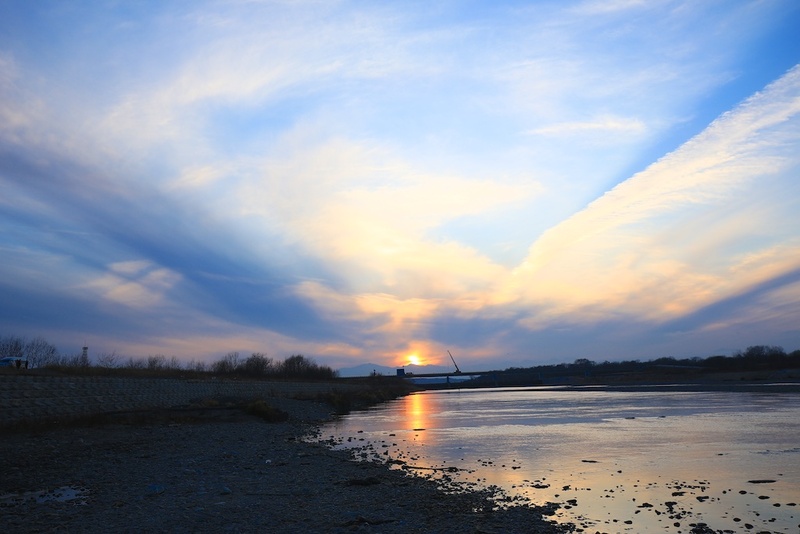 Watching the sunset along the Tokachi River bed, it was a beautiful sight, with the river in the foreground. This was also the signal for us to return back to our hotel, Kangetsuen that is very nearby the segment of the Tokachi River bed that we visited. While we had some spare time on our travel schedule, we visited Hokkaido’s most famous sweets shop, Rokkakutei in Tokachi. There were many different type of sweets and it was shopping time for us, to buy gifts and sweets back home for family, relatives, friends and colleagues. A traditional and beautiful hotel, my room had a nice view of the Tokachi River! 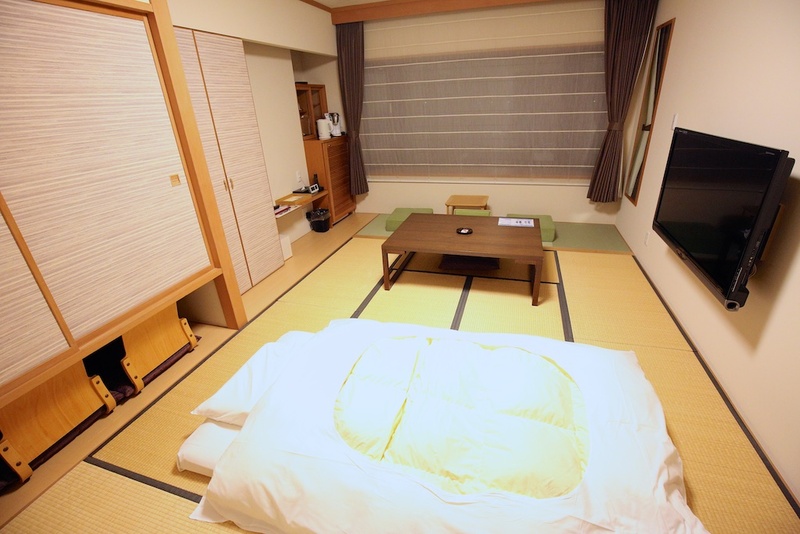 This was also where I had my maiden experience sleeping on a futon mattress! The staff of Kangetsuen was there to help me set it up during the evening, if not, I might be setting it up wrongly! 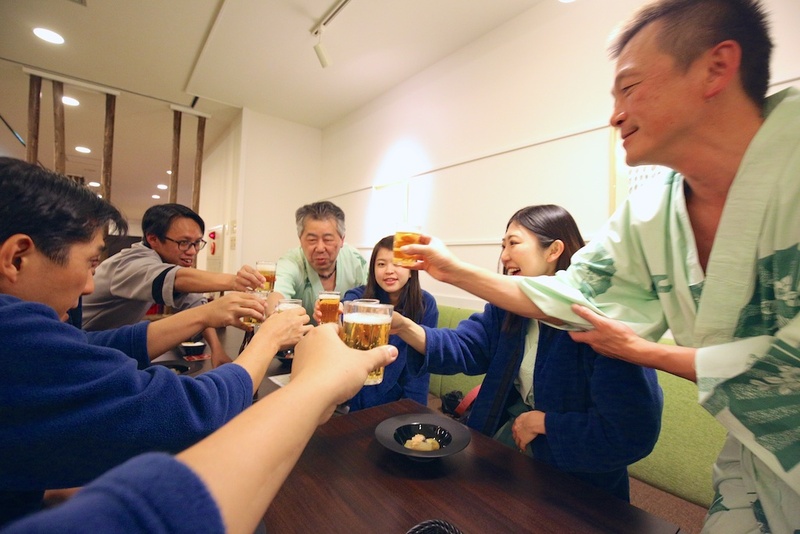 We enjoyed our food, drinks and company together over the past three days before going to enjoy the onsen in Kangetsuen! We went for an early night rest because we would be going for a hot air balloon ride early in the morning the next day!